Skyra Studios | Kids Dance Classes Longwood Florida: Learn These Tips For Stamina! Being a dancer is not simply wearing beautiful costumes and taking class a few times a week. Rehearsals can last for hours and require intense concentration, strength, and stamina. It’s essential for your young dancer to learn how to give 100 percent during class, rehearsal, and other required practices so that the performance can be everything it was meant to be and more. In this post, we’ll discuss some tips for endurance and stamina that can be implemented and utilized by your son or daughter every day. If you’re interested in enrolling your child in our performing arts classes here at Skyra Studios, give us a call today to get started! By eating these foods during the day and between rehearsals, your son or daughter will be enjoy increased strength, concentration, and stamina during long classroom or rehearsal hours. It’s important to note that whole, real foods need to be consumed, not just energy bars or protein shakes. While these are excellent ways to replenish lost calories, they won’t sustain the body the way that real foods will. Even though everyone talks about how essential water is during physical workouts or exertion, many dancers choose sodas, energy drinks, or coffee instead. Too little water can actually lead to muscle cramps and exhaustion, decreased concentration, and dizziness. Drinking H2O before, during, and after class or rehearsal is crucial, so pack your kiddo’s dance bag with plenty of bottles of water or a reusable water bottle. If your kiddo finds plain water unappetizing, try adding fresh, cut-up fruit for some delicious flavor. Appropriate breathing techniques can make a world of difference during an intense class or long rehearsal. Too much huffing and puffing will only exhaust a dancer more, and taking short, uncontrolled breaths while dancing will cause your son or daughter to feel constantly out of breath. Learning to take deep, controlled breaths from the abdomen will allow the dancer to be fully oxygenated, which will allow the muscles to work properly and to their fullest extent. Strengthening the muscles, improving alignment, and increasing flexibility will only improve the stamina and overall strength of your child. Pilates is an excellent way to focus on muscle groups and movements to improve performance quality while also increasing flexibility. However, it’s important to not take a Pilates class immediately before a long class or intense rehearsal so optimal muscle efficiency can be utilized. It’s best to take a Pilates class during off days so that the muscles can recover properly. A few times a week spent in a Pilates studio will work wonders for both stamina and endurance, and teach proper breathing techniques. Dance is an anaerobic exercise, meaning that there are intense bursts of activity for a short period of time. Aerobic activity is lower intensity but sustained for much longer. For this reason, dancers need to cross train to keep their hearts healthy and functioning properly. Stamina can become a serious issue if they’re cast in an important role but they don’t have the endurance to complete it properly. Cross training can be completed by swimming, running, cycling, or participating in a high-intensity workout class. These exercises can be done a few times a week to maintain aerobic fitness or increased to several times a day if and as needed. If you notice that your son or daughter is struggling through a rehearsal or finishing class out of breath, cross training might be a good decision to keep his or her heart healthy and strong. 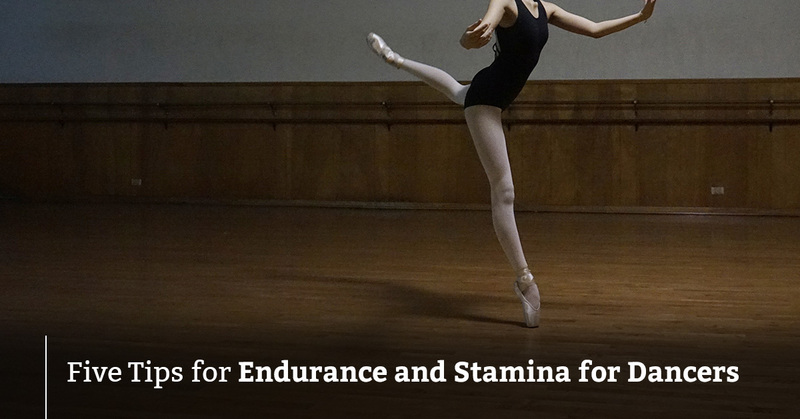 Stamina and endurance is essential for serious dancers and their performance capabilities. If your son or daughter is interested in enrolling in a dance class here at Skyra Studios, contact us us now to hear more information! We look forward to hearing from you!